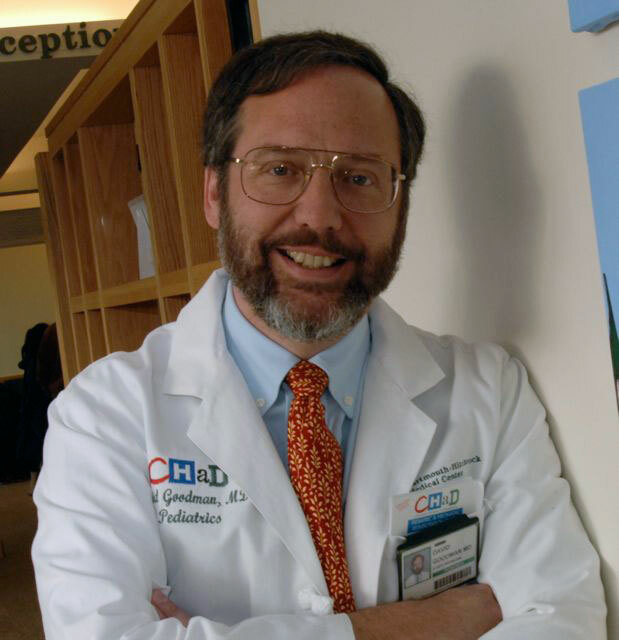 David Goodman is a physician, health services researcher, and educator with a longstanding interest in the causes and consequences of health care variation. In his early years, his studies focused on the relationship of physician supply to population outcomes, and applied the findings to public policy development. More recently, he has developed a research portfolio that investigates unwarranted variation in the use of neonatal intensive care. Medical practice variation: public reporting a first necessary step to spark change. Int J Qual Health Care. 2018 Nov 1;30(9):731-735. doi: 10.1093/intqhc/mzy092. Data Deficiency in an Era of Expanding Neonatal Intensive Care Unit Care. JAMA Pediatr. 2018 Jan 1;172(1):11-12. doi: 10.1001/jamapediatrics.2017.4042. Regional Variation in Neonatal Intensive Care Admissions and the Relationship to Bed Supply. J Pediatr. 2018 Jan;192:73-79.e4. doi: 10.1016/j.jpeds.2017.08.028. Epub 2017 Sep 29. Variation in Utilization and Need for Tympanostomy Tubes across England and New England. J Pediatr. 2016 Dec;179:178-184.e4. doi: 10.1016/j.jpeds.2016.08.093. Epub 2016 Sep 30. Regional Variation of Cost of Care in the Last 12 Months of Life in Switzerland: Small-area Analysis Using Insurance Claims Data. Med Care. 2017 Feb;55(2):155-163. doi: 10.1097/MLR.0000000000000634. Association between Temporal Changes in Primary Care Workforce and Patient Outcomes. Health Serv Res. 2017 Apr;52(2):634-655. doi: 10.1111/1475-6773.12513. Epub 2016 Jun 3. Hospital Variation in Health Care Utilization by Children With Medical Complexity. Pediatrics. 2015 Nov;136(5):860-7. doi: 10.1542/peds.2014-3920. Epub 2015 Oct 5. Health system characteristics and rates of readmission after acute myocardial infarction in the United States. J Am Heart Assoc. 2014 May 20;3(3):e000714. doi: 10.1161/JAHA.113.000714. Epub 2014 May 20. Accelerating physician workforce transformation through competitive graduate medical education funding. Health Aff (Millwood). 2013 Nov;32(11):1887-92. doi: 10.1377/hlthaff.2013.0451. A systematic review of medical practice variation in OECD countries. Health Policy. 2014 Jan;114(1):5-14. doi: 10.1016/j.healthpol.2013.08.002. Epub 2013 Aug 23.